Main image caption The New Volvo XC90. 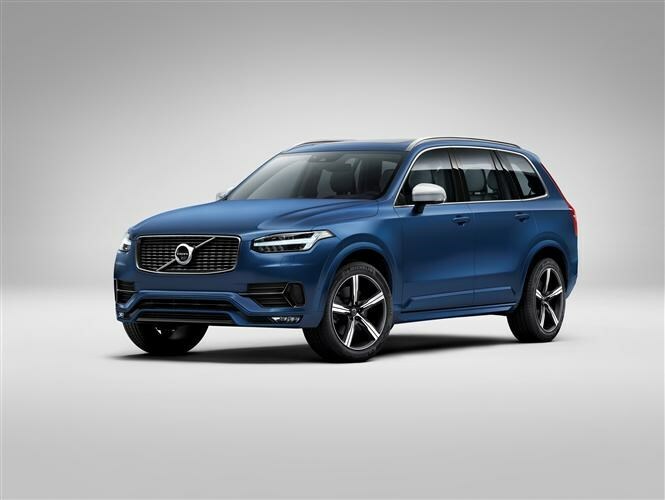 The Swedish car maker has released images of the new R-Design XC90, the first time the popular family SUV has received Volvo’s sportier trim level. 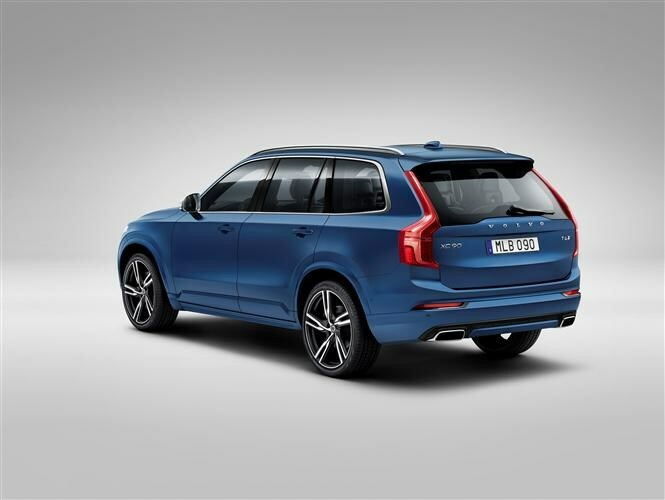 This follows the unveiling of the all-new XC90, available to order from October and being delivered in May 2015. The new XC90 already offers a promising package; a sleek body, revolutionary safety technology and more economical engines. The addition of the R-Design trim option complements the range nicely, with Volvo hoping a wider choice will allow it to build upon the cars already loyal following. Volvo’s Senior Vice President Alain Visser describes the new R-Design as a model for people who have “a passion for things that add spice to life.” On paper, the car lives up to the ‘spicy’ billing; particularly given the choice of powertrains offering up to 400bhp. 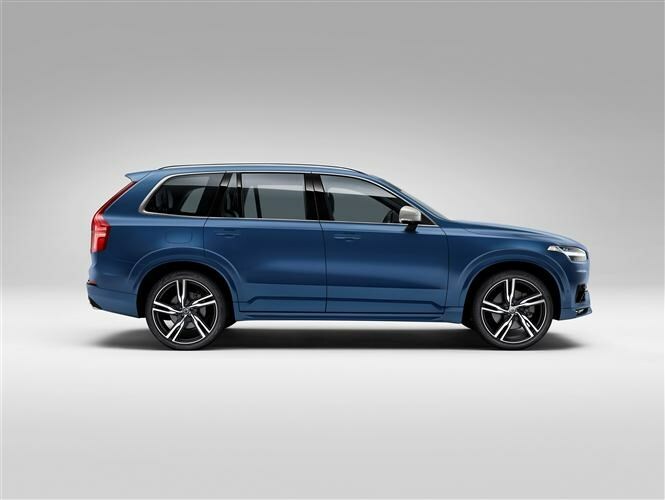 A dynamic ride is also promised, with the all new XC90 chassis said to offer an agile driving experience. This theme is continued on the interior, with the usual details sprinkled around the cabin; exclusive pedals, sports seats, floor mats, gearstick knob and perforated leather steering wheel. Illuminated tread plates and an exclusive R-Design remote control complete this premium trim level. The R-Design also gets exclusive graphics on its 12.3-inch touchscreen and driver displays, with Volvo claiming in-car controls are now virtually button free. The system will of course include the latest connectivity, cloud services and internet access. The new XC90 R-Design looks to be a promising addition to the range, with it complementing the line-up well. The new XC90 already acquits itself well, with plenty of impressive innovations and a positive exterior overhaul. The R-Design gets all these benefits, and yet also distinguishes itself sufficiently for those looking for a little more spice. The New Volvo XC90. 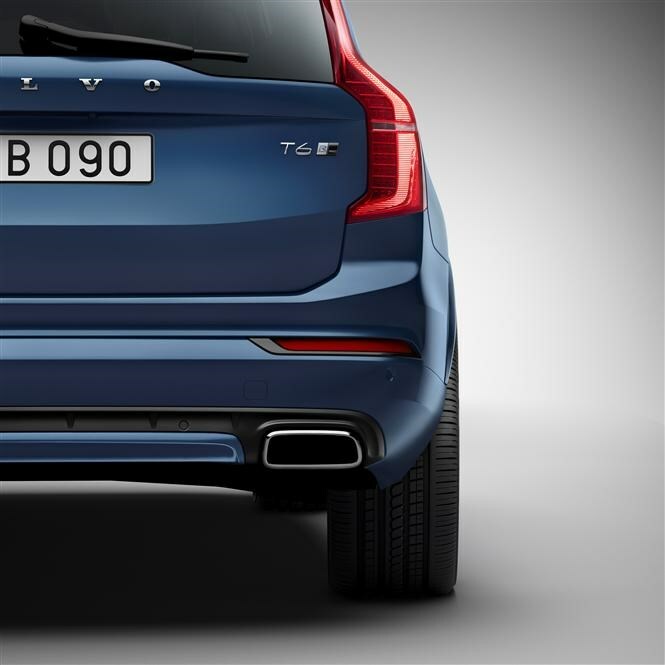 The New Volvo XC90 R-Design, Rear detail. 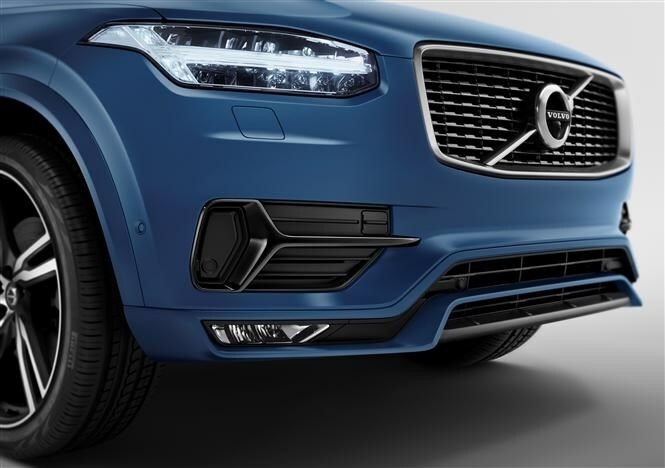 The New Volvo XC90 R-Design, Front detail. The New Volvo XC90 R-Design, Rear view. The New Volvo XC90 R-Design, Profile view.